Vivo, the Chinese smartphone vendor, has been doing an excellent job in India. After launching the Vivo V5 Plus and Vivo V5 a few months ago, the Chinese firm has come out with yet another smartphone called the Vivo V5s. 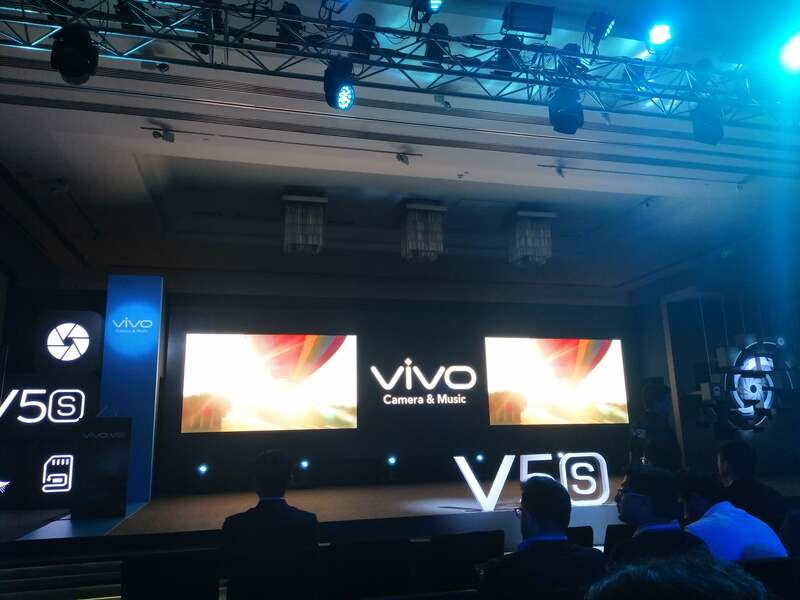 The V5s is another selfie-centric smartphone from the brand as it comes with the same 20MP Moonlight front-facing camera as Vivo V5. The company has added a dedicated group selfie mode in the camera app to combat the Oppo F3 Plus, which comes with an additional 8MP camera up front for group selfies. The device takes design cues from its bigger sibling Vivo V5 Plus with U-type antenna bands. The V5s has a 5.5-inch display protected by a Corning Gorilla Glass. It comes with a dedicated Hi-Fi audio chip for audiophiles. Also, the company has partnered with Saavn and is offering two months of free Saavn subscription. It is powered by a 64-bit octa-core MediaTek MT6750 SoC, paired with 4GB of RAM and 64GB of internal storage. The device boots Funtouch OS 3.0 and the new feature added to the OS is the app clone, which is same as the MIUI’s dual apps. As you can see with the above specifications, it is quite similar to the Vivo V5, but the storage on the phone is now bumped to 64GB. Vivo is also adding the Cricket theme to the V5s. It is fuelled by the 3000mAh battery with fast charging technology. The device comes in Matte Black and Crown Gold colour options. 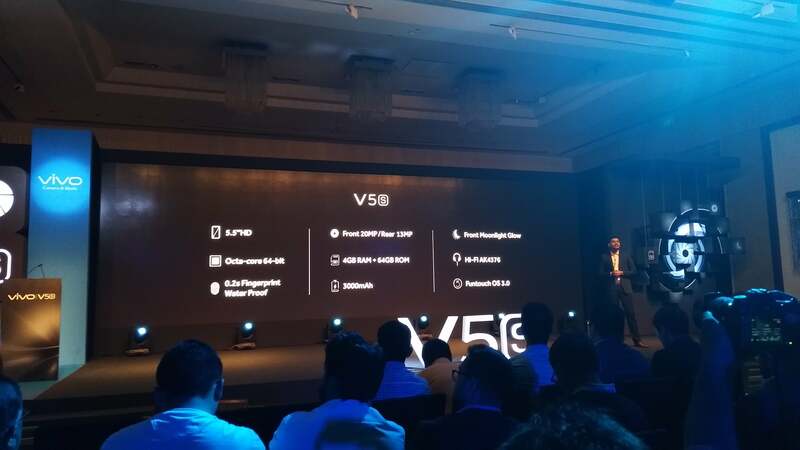 In terms of pricing, the V5s costs Rs. 18,990, which is exactly the price at which Vivo V5 was launched. Pre-registrations for the phone will kick start today, and the first sale will happen on May 6. What do you think of the Vivo V5s? Does it make any sense for Vivo to launch a phone with just storage bump? Let us know your thoughts in the comments section below.